Are you a candidate waiting to enter into government job? Here is an opportunity for you! 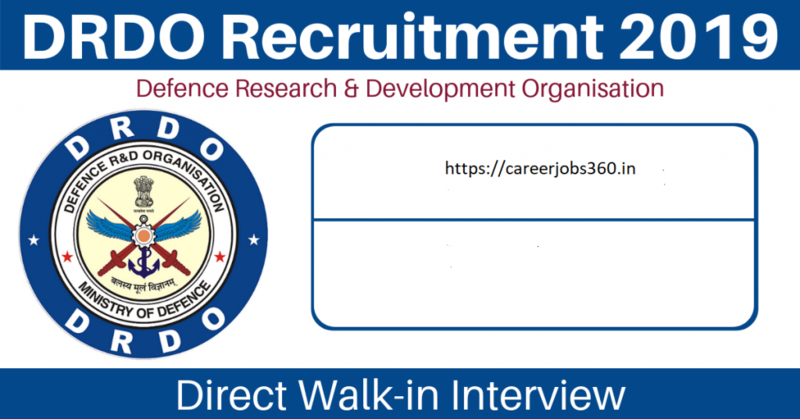 DRDO NSTL Recruitment 2019 is opened for you for filling 05 the vacancies for various post of Junior Research Fellow (For the discipline of Mechanical, Electrical and electrical, Computer science and Engineering). The recruitment is carried out by written test and by the interview process. The candidates willing to apply can download the job application from the official website and attend the walk-interview to the mentioned location on 15th May 2019. Make sure you carry all the required documents and application to the interview place. Be updated with the official website for further information reading the recruitment process and also for the future job openings. Step 2: Look for the eligibility and other qualifications required to apply for the post. Step 3: If you are eligible you may download the application form and fill the required details and get ready for the walk-in interview that is scheduled on 15th May 2019. Step 4: Make sure you carry all the documents with the application form and appear for the interview at the right time. Be updated with the official website to know the relevant information about the recruitment and also about the upcoming vacancies.